At Lakeview Dental, we offer sedation dentistry for all patients seeking a wide variety of treatments. Whether dental procedures make you nervous, or you would like to have multiple procedures done in a single visit, we can accommodate you. Many people believe that sedation dentistry only involves tooth extraction or wisdom teeth removal. This is not the case. In addition to services provided by our oral surgeon, we can provide sedation dentistry for many procedures. We are proud to provide sedation dentistry for all of our patients. Many people let the anxiety of dental treatment keep them from getting the treatment they truly need. Imagine coming in one day feeling completely relaxed and getting all your necessary treatment completed. Sedation dentistry is completely safe, and you will be monitored by state of the art technology at our facility in the Lake View and Roscoe Village area to ensure your safety. We pride ourselves on offering superior dental care and going above and beyond for our patients. 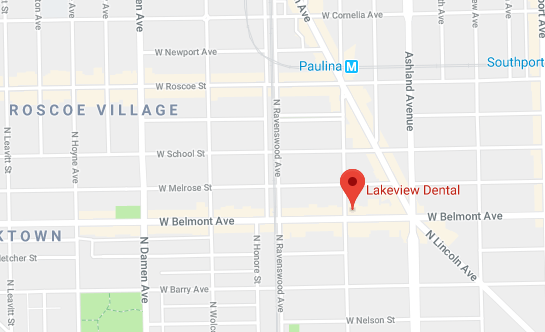 Whether you are looking for sedation dentistry, a general dentist, or Invisalign® services in the Lake View and Roscoe Village area, we can provide you with the care you need. We are dedicated to providing the highest level of care and service to every member of your family. Contact us today to experience the Lakeview Dental difference!